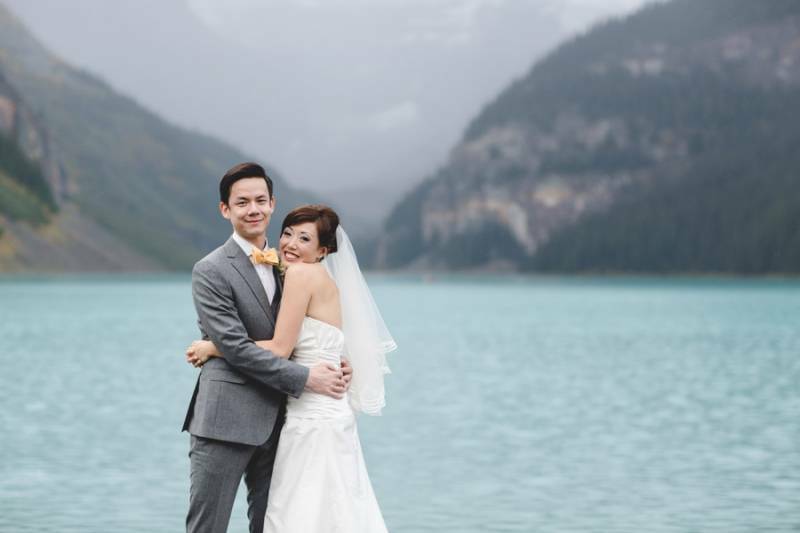 Lake Louise is one of the most magnificent and beautiful places in all of Canada, and that is the reason why thousands of people from around the world travel to take in the beauty and luxury of this place every year. 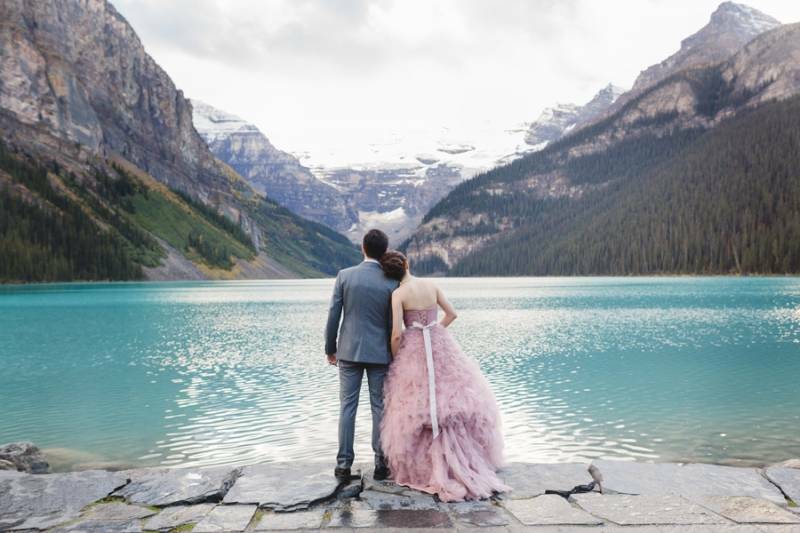 Lake Louise weddings are always extraordinary because of the beauty and romance of this incredible location (there really is no other location that can compare to it). 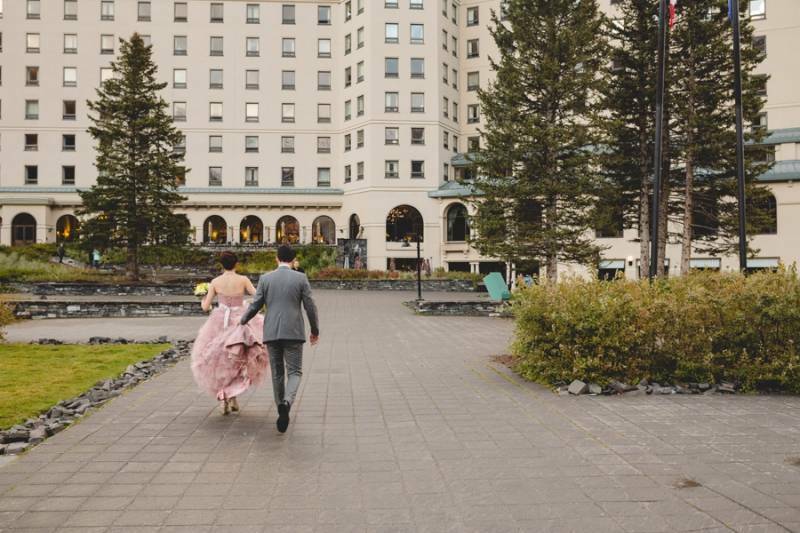 Today we're excited to share Christina and Bosco's destination wedding at Chateau Lake Louise photographed by the talented ENV Photography and coordinated by Rocky Mountain Weddings. 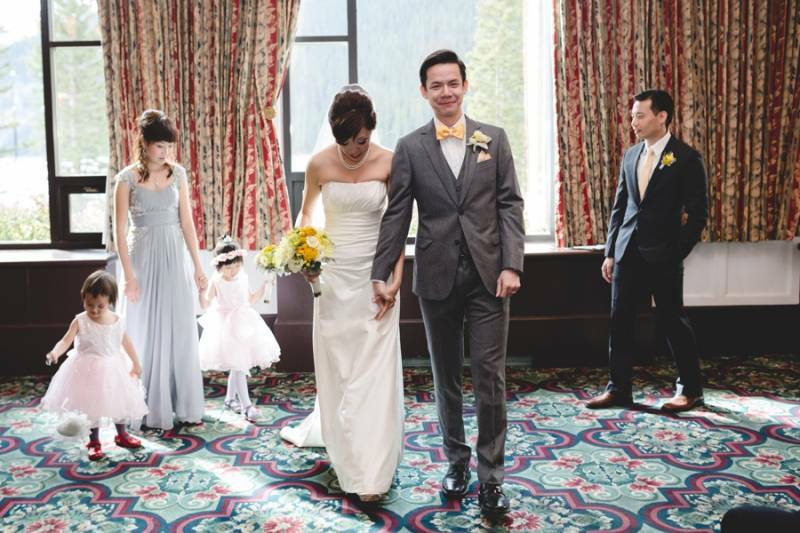 Christina and Bosco travelled to Lake Louise this September with their closest friends and family for a gorgeous Rocky mountain wedding filled with romance and beauty. Christina spent the morning with Lake Louise hair and makeup artists, The Pretty Haus, in one of the Chateau's beautiful suites. 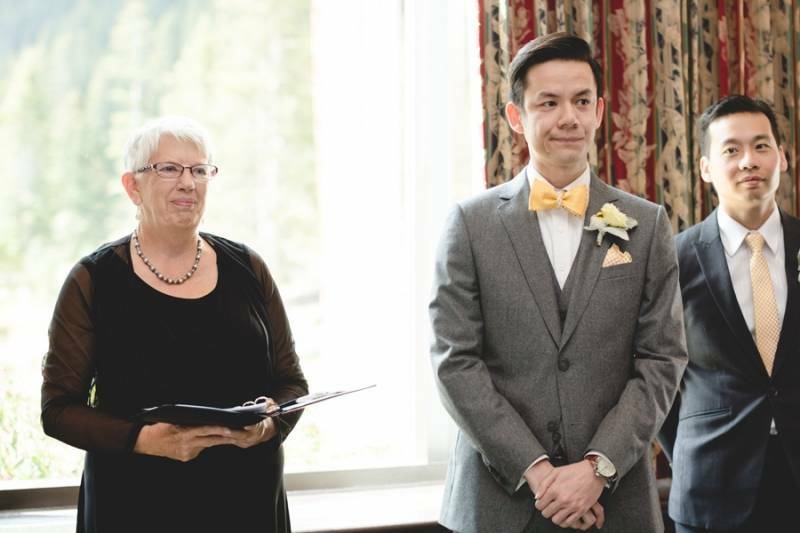 After getting ready, they headed down to the main floor of the Chateau for an intimate wedding ceremony with beautiful views of the aqua waters of Lake Louise and the love of their family and friends surrounding them. 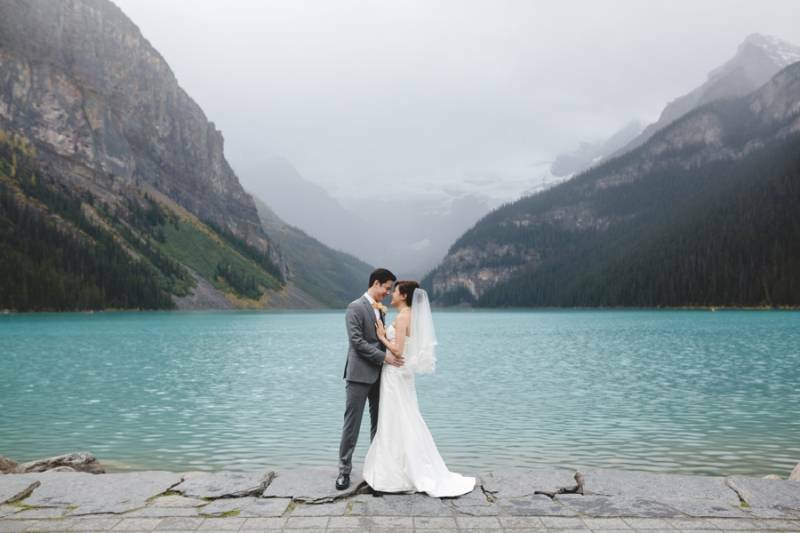 After their beautiful vows, Christina and Bosco headed outside to wander the grounds as newlyweds and capture photos amidst the natural beauty of Lake Louise, the Rockies and the Victoria Glacier. 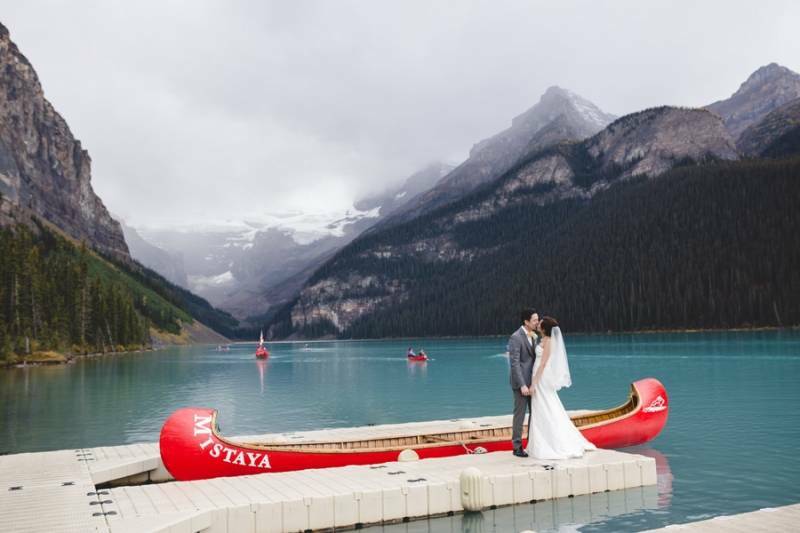 Although Lake Louise is filled with thousands of tourists taking in the sites, thanks to their amazing photographer (ENV Photography), they managed to make it look as if they had the entire place to themselves! Fall weather can be quite unpredictable in the mountains, and the day brought along a mix of sun and rain but they managed to make the most of everything, including a gorgeous sun shower! 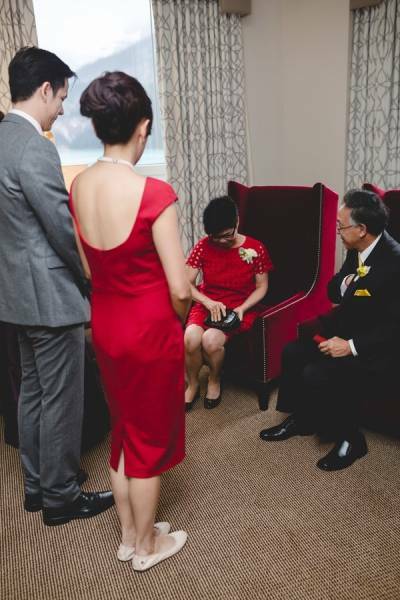 After photos, Christina and Bosco headed back to their beautiful suite where they held a traditional Chinese tea ceremony with their family. 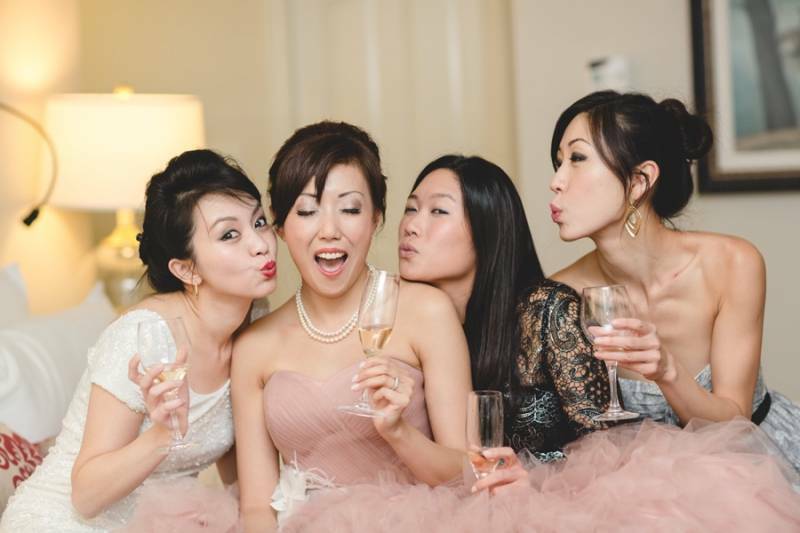 After the ceremony, Christina changed into a second gown for the reception; a beautiful blush pink, layered tulle gown perfect for celebrating. 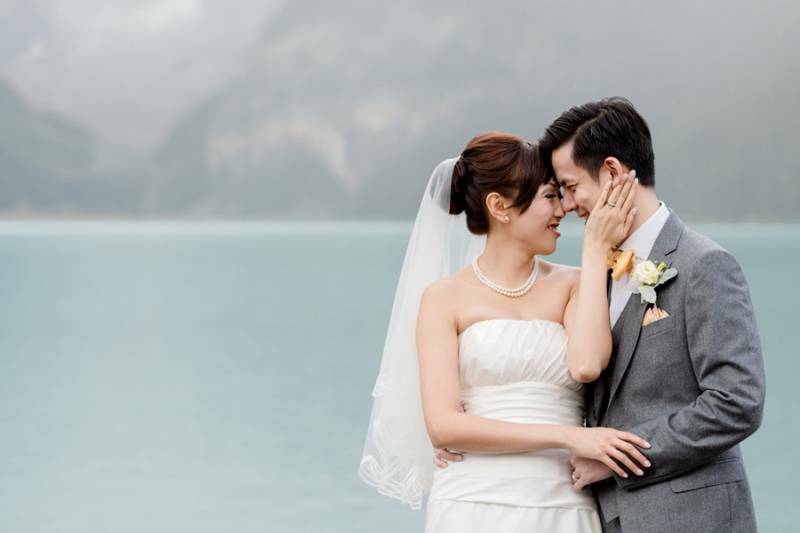 Her photographer was so in love with the gown, she convinced them to take a few more portraits with her second dress. 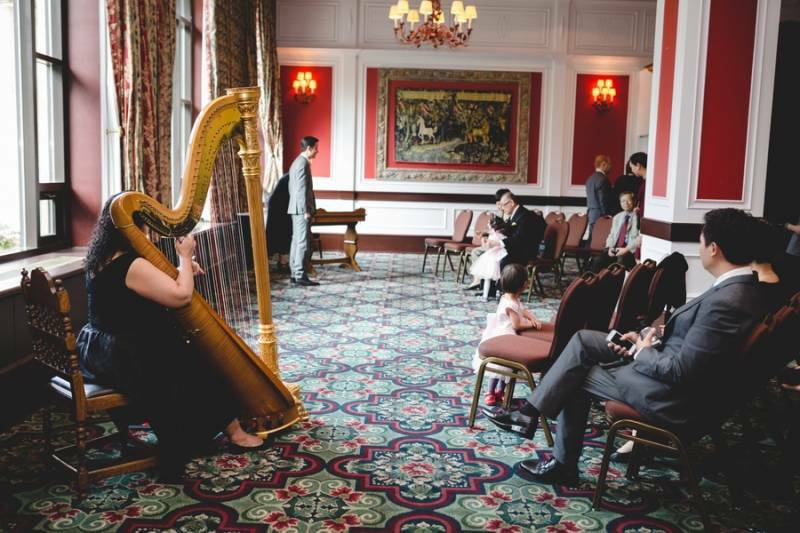 And we are so glad she did, those photos turned out absolutely stunning! 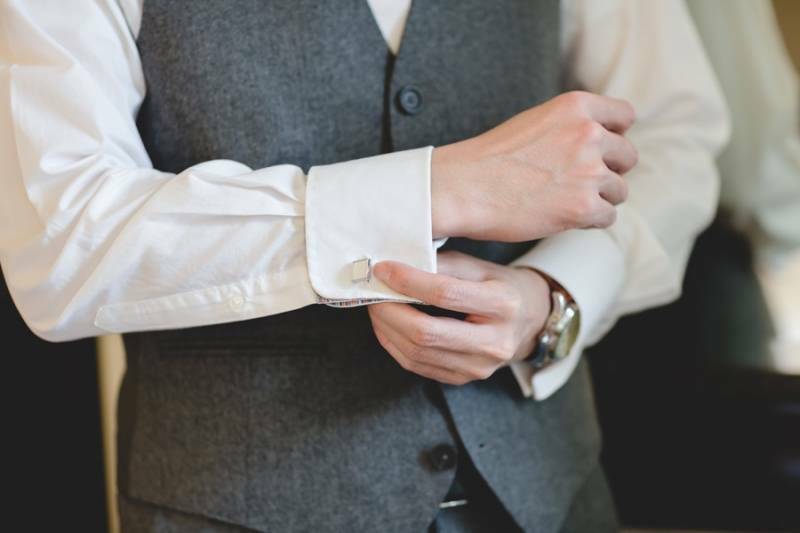 With a second set of portraits under their belt, Christina and Bosco headed to their reception to celebrate their marriage. 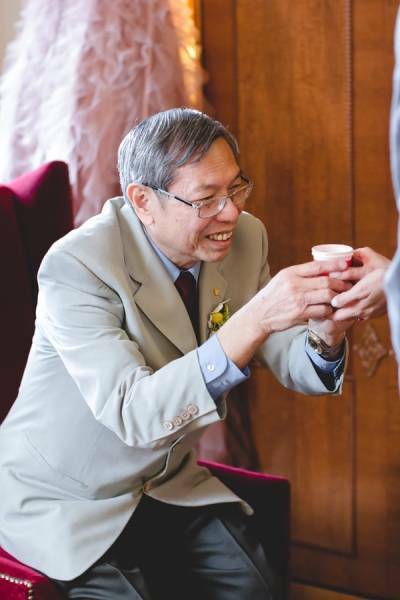 They kept the reception intimate, and focused on taking in the beautiful memories, speeches and moments with their dearest family and friends. 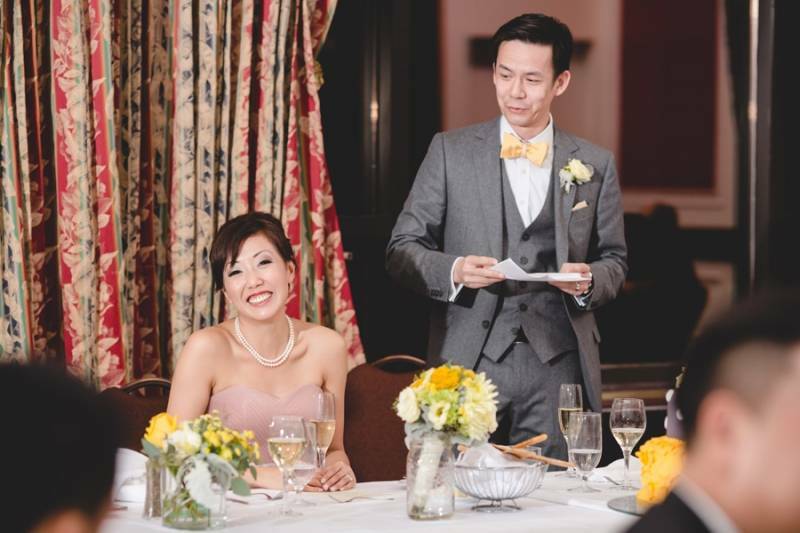 It was the perfect way to celebrate a beautiful love and a gorgeous wedding! 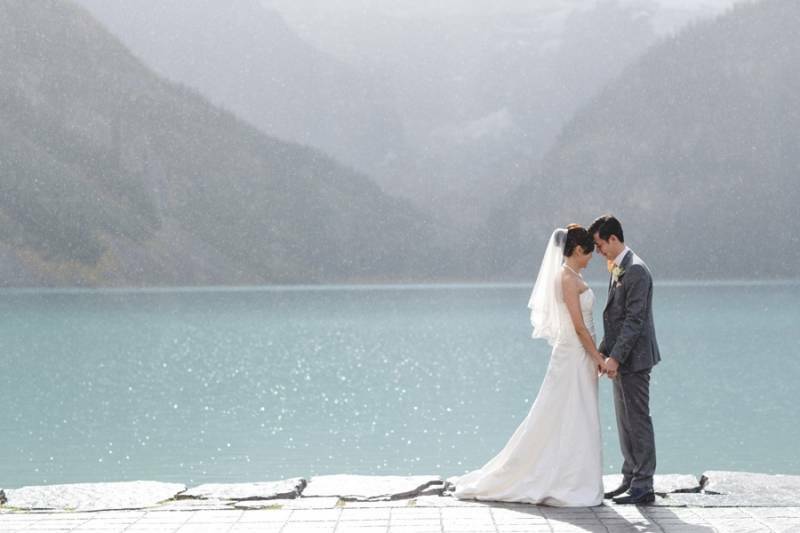 If you're planning a Lake Louise wedding be sure to check out more Lake Louise wedding inspiration on our site. 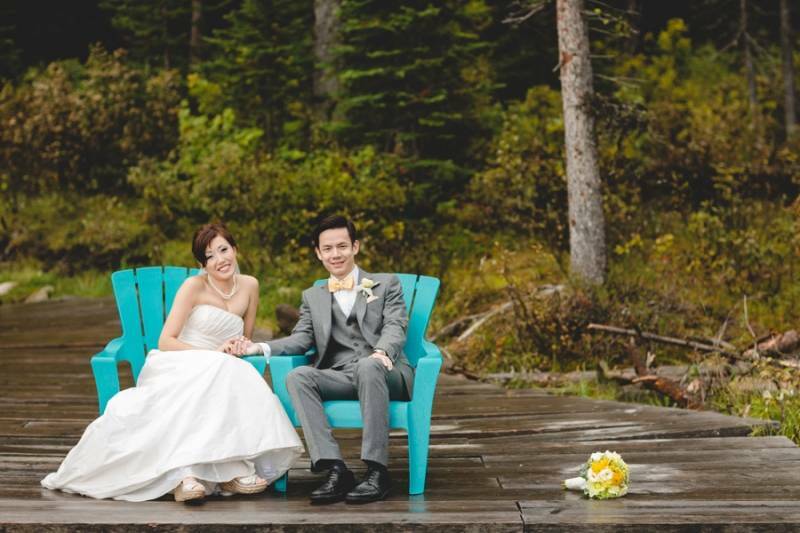 We also know you'll love working with Banff wedding photographer, ENV Photography. 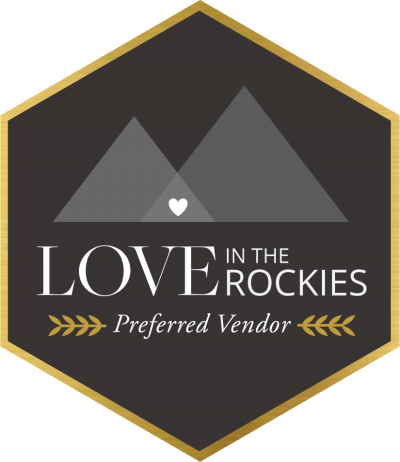 She captured this beautiful wedding and is one of our recommended Rocky mountain wedding photographers. 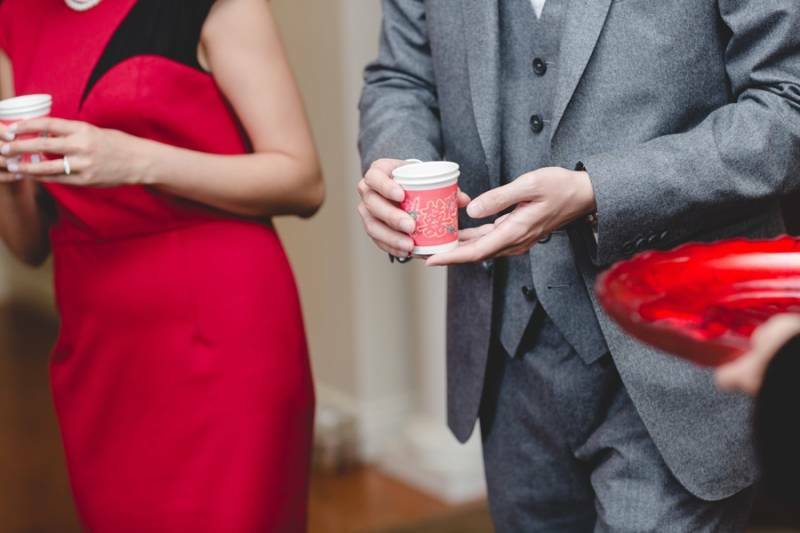 Be sure to check-out her gorgeous work and fabulous personality!